We’ve already faced the Magpies, Swans, Seagulls, and Eagles this season; can our new manager turn around our form as we go into the Hornets’ Nest? Now that the furore surrounding the appointment of our new manager has largely died down we can begin to think about the return of our players away on international duty, assess the injury list, and the coaching staff can prepare the team for the important trip around the M25 to Watford on Sunday afternoon. From some of the reactions that I read on social media you would have thought that the board had re-appointed Avram Grant, not a manager who in his career has managed teams to finish in the top eight almost as many times as we have finished in one of those lofty positions in the entire history of the club. Not that he was particularly my first choice, but it may just be that he is the type of manager needed at the present time. He certainly seems to have made some impression in his short time here with the appointment of his backroom team being particularly well received, and the stepping up of the training sessions being very evident on videos released, to replace the usual jokey crossbar challenge and other joviality that came before. The arrival of Stuart Pearce is one that is favoured by many, and it is hoped that he can exert the necessary influence behind the scenes that many thought would be provided by Julian Dicks, but didn’t appear to be in evidence. Not being a fan of friendly international football I am afraid that I didn’t see a single minute of the two England games in the break. I did, however, see one of the most ridiculous penalty awards of all time which effectively eliminated Northern Ireland from the World Cup finals tournament. I watched a bit of the Republic of Ireland playing in Denmark and thought to myself, why can’t West Ham defend like that? But then I watched some of the return game in Dublin and recognised some classic West Ham style kamikaze defending. Sweden also turned the tables on Italy with a masterful display of defence in the old Italian style, including one of their defenders committing a foul so bad (a knee in the stomach) that would have resulted in an arrest on the street, yet the referee deemed that the Italian forward who controlled the ball on his thigh before being assaulted had handled the ball! Some of the refereeing decisions that I saw in those World Cup qualifiers made me fear for the potential standard of the officials in the World Cup next year. But for me the Premier League makes a welcome return this weekend. No more interruptions for internationals until March. I watched David Moyes’ press conference and was impressed with his positivity and confidence. This will be his 500th game as a manager in the Premier League, a total only surpassed by Ferguson, Wenger and Redknapp. I liked the way he answered many of the questions put to him, but the real test will be in what happens on the pitch in the coming games. Watford will not be the easiest away trip, although their form at Vicarage Road has not been as impressive as their form on the road. Their five home games have yielded just five points, with a solitary victory (2-1 v Arsenal) after they had been outplayed by their visitors for much of the game. Home draws against Liverpool and Brighton were certainly better results than we achieved at home against the same teams. A 6-0 reverse at home to Manchester City was an even heavier defeat than most other teams have suffered at the hands of the odds-on favourites for the Premier League title, and they will have been disappointed going down 1-0 to Stoke in their last home fixture. Victories in their first three away games of the season at Bournemouth, Southampton and Swansea were followed by a draw at West Brom and then two defeats at Chelsea and then Everton. Somehow at Goodison they contrived to turn a 2-0 lead well into the second half into a 3-2 loss and even missed a penalty in the eleventh minute of injury time which would have given them a share of the spoils. After eight games they sat in fourth place in the table, but losing three in a row has seen them drop to ninth. Nevertheless I reckon they would have settled for 15 points and a top half position at this stage of the season. Our head to head record in games against Watford is a heavily positive won with more than twice as many victories as defeats. In the period from 1984-85 for the next 20 years or so we played them on 23 occasions, winning 19, drawing two, and losing just twice. But the last ten games since then has seen a reversal of fortunes, and we have won just two of the matches, drawn three, and we have been beaten five times. In the final season at Upton Park we beat them comfortably 3-1 with two Mark Noble penalties following an opening goal from Andy Carroll. How often are we awarded a single penalty in a game, let alone two? Incidentally the referee who gave them to us was (the now not so popular with West Ham fans) Mike Dean. And who can possibly forget just over a year ago in one of the early games at the London Stadium when we raced into a 2-0 lead (which should have been even more) with two headed goals from Antonio, one from an outrageous rabona cross by a Frenchman who was popular with our fans at the time? We then contrived to concede two goals in the last five minutes of the first half, and a further two in the opening 15 minutes of the second, in a woeful defensive display. Some Watford players even accused our team of showboating when we were two goals ahead. In the return fixture we drew 1-1 with Ayew equalising an early penalty scored by Deeney, and Antonio was sent off close to the end of the game. What do the bookmakers offer on the game? Watford are close to even money to win, whereas we are around 3/1. The favourite score is 1-1 (as it so often is), which is Lawro’s prediction and is priced at around 11/2. I am hoping that we will benefit from the “new manager factor” and inflict on Watford their fourth league defeat in a row. 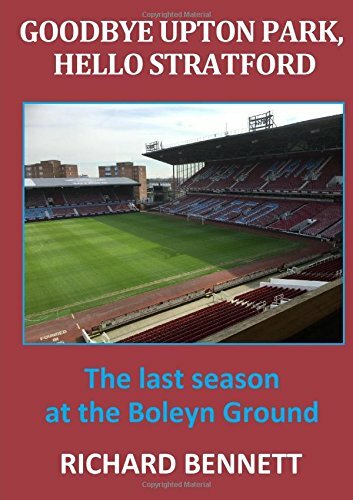 As each of us have featured in five games this season where four or more goals have been scored, my fun bet will be on a half-time score of 1-1, with West Ham to run out 3-1 winners at the end of the game at 125/1. I’ll add this to West Ham to win and four or more goals to be scored in the game which is priced at 10/1.